Compassionate care for all those who walk through the door is the cornerstone value at Wigram Health, soon to open a practice in Vernon Drive, Lincoln. 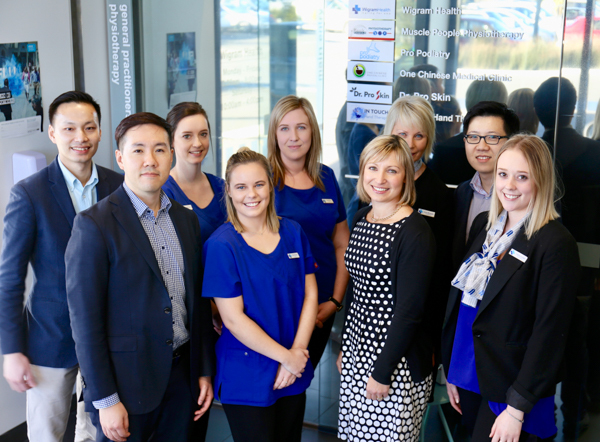 “We are very serious about our patients receiving the best treatment possible,” Dr John Ko says on behalf of Wigram Health’s large, multi-disciplinary medical team. The idea of true caring might sound old-fashioned, but nothing could be further from the truth. Wigram Health – both in Skyhawk Road and soon at the new, Lincoln practice which opens in spring – has embraced every advantage that cutting-edge medicine and its attendant technology can bestow. However, on walking through the doors of Wigram Health in Skyhawk Road, a person could forget they were at the doctor’s. There’s plush, vibrant interior design and a dispenser of hot chocolate and other drinks in reception. It’s not a white-paint-and-steel clinical vibe; rather a personable, enveloping one. John explains that the way forward for medicine allows people more control. It’s information-sharing rather than paternalism; not like old school general practice where the doctor is God and patients should prepare to wait an eternity before appointments. And because the surgery is open for extended hours of 8am to 8pm, and also for reduced hours on Saturday, getting timely medical help is what routinely happens here. “Optimal medical service is always available,” John says, and he believes this service-oriented approach to general practice underpins Wigram Health’s unprecedented success. Having just celebrated the practice’s two-year anniversary, staff can look back at exponential growth, 7000 enrolled patients, and a continuing enrolment rate of 200 people per month. The Lincoln practice still in its final construction phase looks likely to begin a parallel patient enrolment-rate, mirroring that at Wigram Skies. John says the same culture of customer-service focus will be engendered in the new facility, which has been designed very carefully for all age-groups with this in mind. “There’s a really neat, funky children’s play area, with seating in the wall and well-maintained toys, which will appeal to the young families in Lincoln. In fact around 20 percent of the Selwyn district’s population are 17 years or under,” John adds. Patients enrolled in one of the Wigram Health practices will be able to attend the other, with no extra charge or paperwork required.